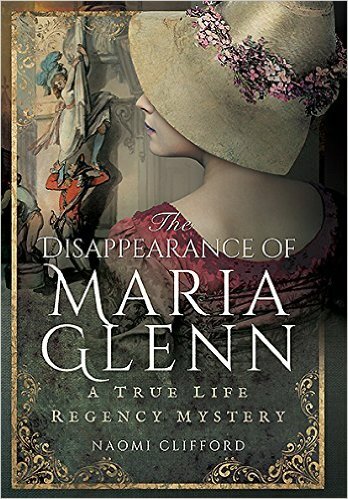 Today we return from our summer break and are delighted to welcome back to ‘All Things Georgian’ one of our previous guest authors, Naomi Clifford, author of the true life Regency mystery, The Disappearance of Maria Glenn. Naomi is presently researching women who went to the gallows in the late Georgian period for her next book. During her research she came across the story of Rebecca Hodges, so we will have you over to Naomi to tell more. The Georgian justice system, inconsistent, brutal and stacked against the defendant as it was, still had room to accommodate those whose actions were beyond their own control. During my research into the women who were hanged in England and Wales in the late Georgian era, I came across a case which would now probably be prosecuted as stalking. 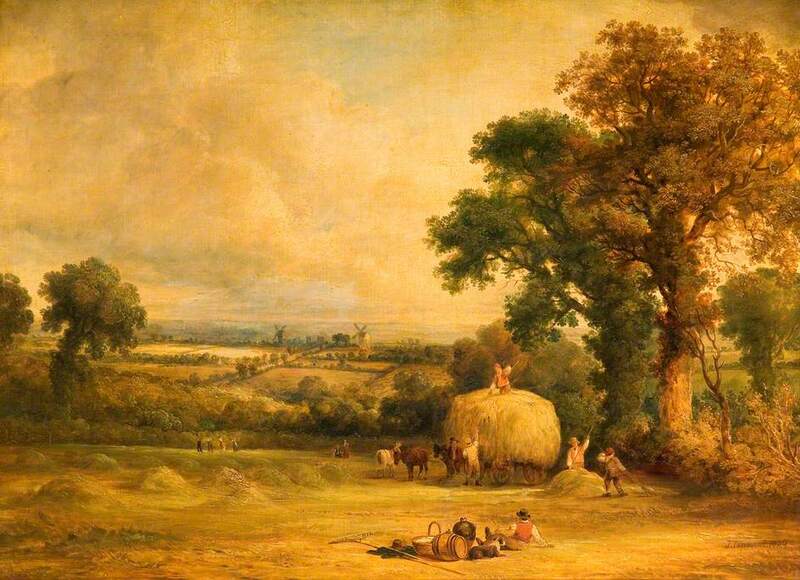 In 1818 Rebecca Hodges was indicted for setting fire to hayricks at Ward End near Aston and appeared before Judge Garrow at the Warwick Shire Hall. It was a notable case, not because rural arson was especially unusual but because of the long and disturbing history between the accused, Rebecca Hodges, a servant, and Samuel Birch, her former employer. One Saturday in 1802, Rebecca left Birch’s farmhouse to fetch water. On her return on Monday, Birch dismissed her for being absent without permission. She decided that she would exact revenge. Over the next seven years, unrecognised because she dressed in men’s clothes, she followed him. 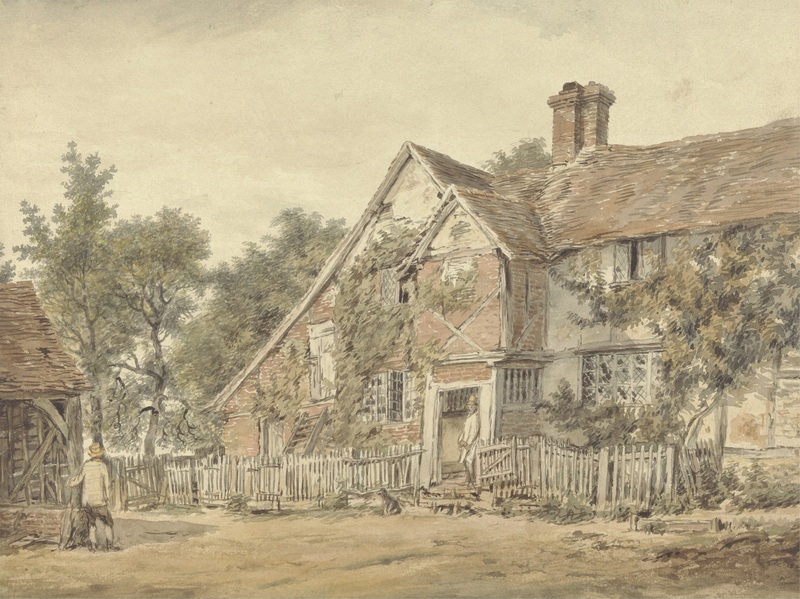 On 27 February 1809, having bought a horse pistol and moulded her own bullets (she pressed lead with her fingers), again dressed as a man, she travelled to Ward End, on the way encountering a young lad at the turnpike house of whom she asked several questions about Birch, including whether he had gone to market and what horse he rode. Then she stalked Birch around his farm, hiding in an outbuilding until the moment was right. At around ten o’clock in the evening, she, peered through the kitchen window to check that Birch’s housekeeper and niece Sarah Bradbury had gone up to bed, lifted the latch of his farmhouse, crept up behind him as he slept in a chair and shot him twice, one of the bullets lodging in his head. Birch did not at first realise that he had been wounded, but his niece and housekeeper Sarah Bradbury, alerted by the gunshot, came downstairs and saw that his head was ‘all over blood’. Mr Vickers, a surgeon in Birmingham, was fetched. He trepanned Birch’s skull and retrieved the bullet. The patient survived but suffered lifelong effects. 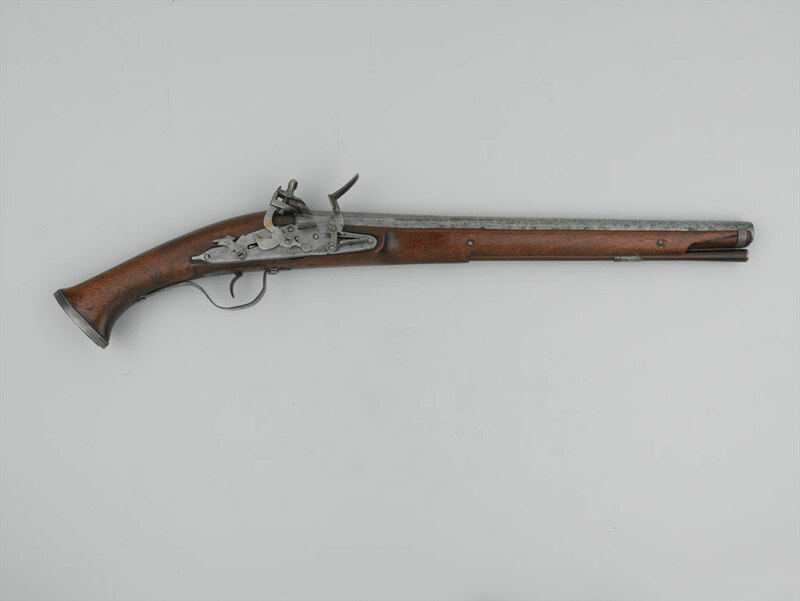 Still dressed in male attire and carrying the loaded pistol, Rebecca was arrested in Birmingham, probably for showing some sort of erratic behaviour, and taken to Birmingham Gaol: William Payn, the gaoler, said later that he thought she had ‘broken out of a place of confinement’. He offered to send for her relatives in order to get her properly cared for, but she said it would be no use as she would just be arrested again. ‘For shooting a man,’ she replied. In the courtyard she walked obsessively in a figure of eight and hung her head. Later, once the connection between her confession and Mr Birch was known, she was brought to the Birmingham police office where she encountered Mr Vickers, the surgeon who had treated Birch. She said, ‘He [Samuel Birch] is not dead, I hope?,’ and when asked whether Birch had ever ill-treated her, replied, ‘No, never.’ She claimed that they had had a romantic relationship and, although she liked Birch very much. Rebecca was tried in front of Judge Bayley. It was clear that she had committed the deed and that there had been a large degree of planning, but the question was whether she was in her right mind. Francis Woodcock, a magistrate living in Worcestershire, told the court that she had lived in his household for three years and had shown symptoms of insanity, talking to herself, going missing, dancing alone in barns and fields and picking up sticks in one place and laying them down in another. He said she was ‘virtuous but harmless’. Her sister also gave evidence, describing her walking without shoes or wearing only one of them, going out with few clothes on and on one occasion trying to hang herself. Justice Bayley thought that she was not in her right mind and told the jury that if they had any doubt they should acquit her, which they did. She was ordered to be incarcerated in Warwick Gaol as a criminal lunatic. 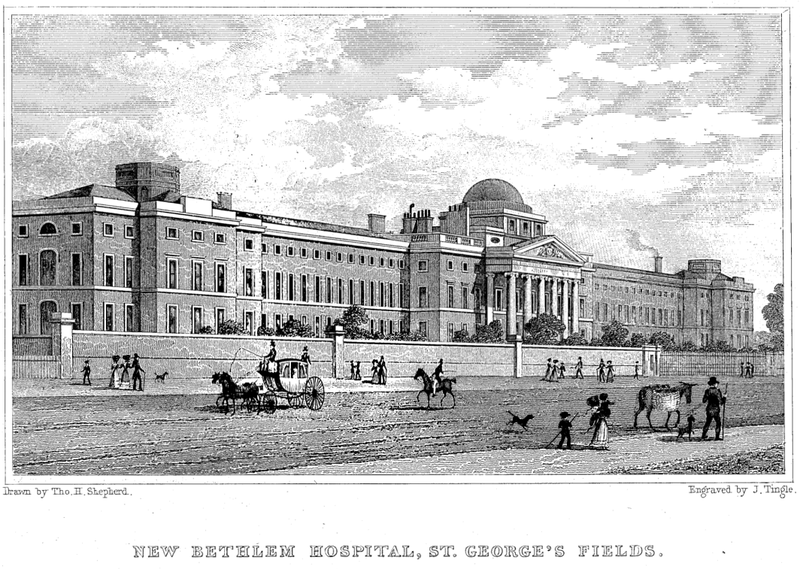 In 1816 she was transferred to Bethlehem Hospital in London, where after fourteen months she was discharged, the doctors there declaring her perfectly healthy. After Rebecca returned to Birmingham in early 1818 she lived a hand-to-mouth existence of casual employment, possibly combined with part-time prostitution. She often got drunk and was locked out of her lodgings. One constant was her resentment of Birch and after writing letters to him, pleading and threatening by turn, she once more travelled to the farm at Ward End intent on revenge. This time she fire to his haystacks, another capital offence. She was soon arrested and the circumstantial evidence against her was overwhelming. Witnesses spoke of a woman wearing a long dark cloak and bonnet; similar clothes were found in her lodgings. A linen draper, called as an expert witness, confirmed that a section of purple spotted scarf found near the fire matched one in her possession. A tinder box that had been discarded on the road contained small pieces of cotton resembling the material of one of her gowns. During the trial Rebecca loudly and repeatedly berated and insulted the witnesses, each time Garrow patiently exhorting her to wait until it was her turn to question them. But despite his instruction to the jury to ‘keep in mind… the dreadful punishment that must necessarily follow a conviction’ they did not even pretend to discuss her possible innocence and within three minutes delivered a guilty verdict. While Rebecca screamed for mercy (‘My Lord, have mercy upon me! … Oh spare my life! Only spare my life, my Lord! I’m innocent! I’m innocent!’) the judge sentenced her to death and warned her not to entertain hopes of a respite. In law there were four kinds of insanity: perpetual infirmity of mind from birth; the result of sickness, grief or other accident; intermittent (classed as insanity when it manifested and at times of lucidity not so); and a state arising from ‘vicious acts’ such as drunkenness. Rebecca Hodges’ gun attack on Mr Birch may have had been planned well in advance but her erratic behaviour before this showed that she was not in her right mind and was enough to persuade the judge. Rebecca did not go to the gallows. She was respited and her sentence commuted. 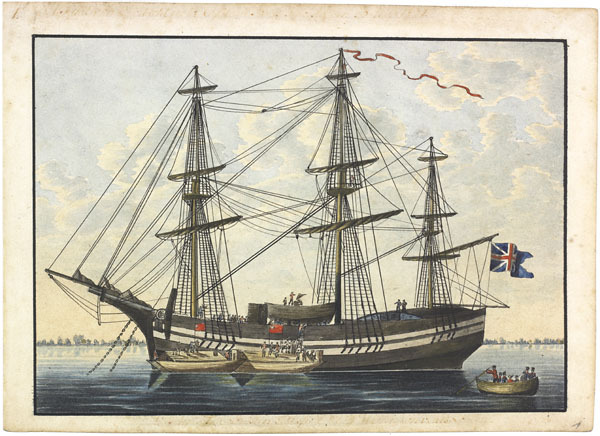 In 1819 she was transported for life on board the Lord Wellington in the company of two other Warwickshire women, Elizabeth and Rebecca Bamford, who had themselves narrowly avoided execution. They had been deeply involved in the family business of forgery and uttering and their sixty-year-old mother, Ann Bamford, had been hanged the previous year. In Australia, Rebecca continued to cause concern. She was first placed in the factory at Parmatta, later sent out to work as a domestic servant. Her propensity to go missing landed her in trouble in 1824 and she was punished with another spell at Parmatta. She was described in 1827 as ‘incompetent to any kind of work’. In 1838 she was granted a conditional pardon. Her date of death is unknown. Bury and Norfolk Post, 8 March 180; Northampton Mercury, 25 April 1818. Willis, W., An Essay on the Rationale of Circumstantial Evidence (1838). London: Longman, Orme, Brown, Green and Longmans. On Insanity: Mr Amos’s Lecture on Medical Jurisprudence. London Medical Gazette, 2 July 1831. Unknown (1818). Trial of Rebecca Hodges. Warwick: S. Sharp.